Based on the RoundCube mail server, our UK-based email service delivers the performance, reliability and features that you need, without the complexity on running your own mail server. This powerful email service, backed by our dedicated user support, starts at £1.95 per month per mailbox. Access your email, calendars, contacts, storage, and settings in the office, on the road, or at home with our webmail interface. The mail server’s interface combines aesthetics with the full functionality of a desktop client, giving users the ability to communicate and collaborate around the clock from anywhere there is an Internet connection. Access your emails using webmail and any web browser or connect to your mailbox using your favourite email client such as Outlook, Thunderbird or Apple Mail. Features include: compose messages with attachments, searching messages, spell checking, drag & drop message management and email read receipts. With our email service you can sync contacts from other mail services as well as adding new contacts to your list. You will also have the ability to create contact ‘groups’ or save them as favourites to make messaging multiple contacts quick and easy. Keep all your events and plans organised with our calendar feature, which allows you to create multiple calendars, for example, for work or home. You can sync events from iCal and Outlook and add new ones with just one click. 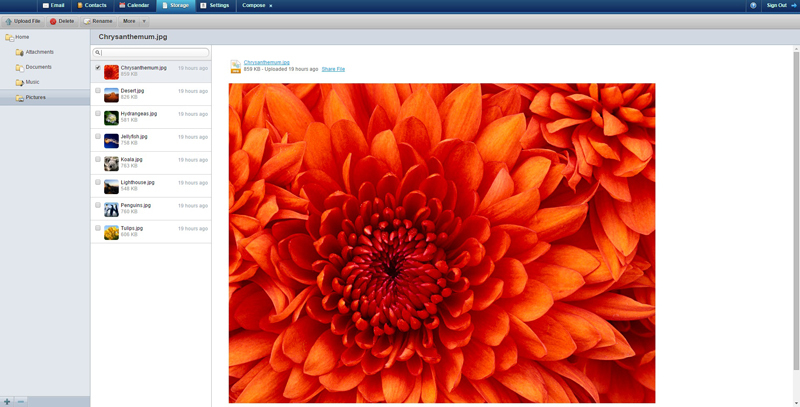 Our storage feature allows you to keep files in your webmail and keep them organised in folders. This makes attaching files to emails much quicker and easier.